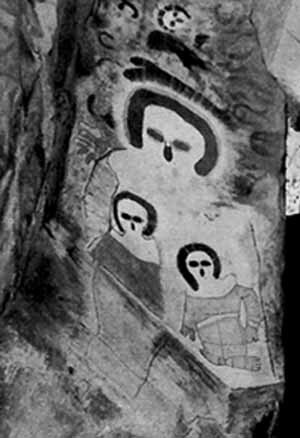 Ancient Australian Aboriginal mythology suggests the rain and cloud spirits would descend from the sky to paint Wandjina figures on the cave walls. 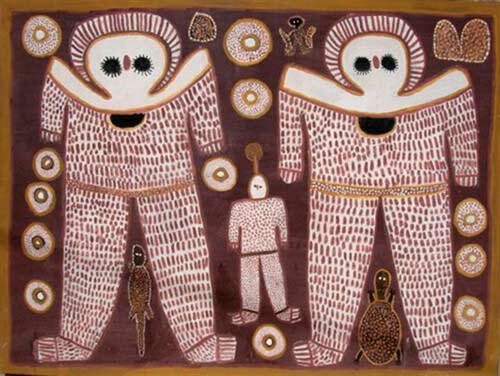 These paintings are believed to have been repainted and refreshed by the current oldest living descendant since the original prehistoric Aborigines. Wondjina believe that dream-time is cosmological time and the principal order of all things to exist in the universe. 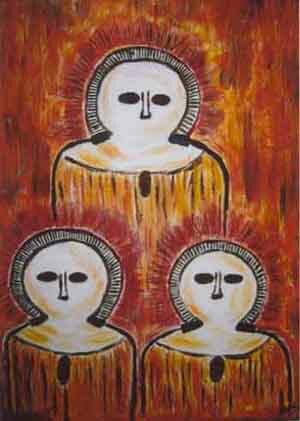 It is also interpreted that the paintings do not contain mouths otherwise it would continue to rain without relief.